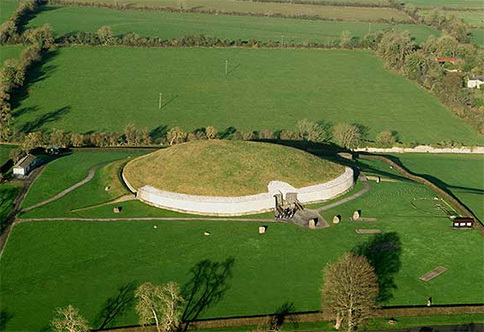 Newgrange is a prehistoric burial temple located in the east of Ireland. It was built 5,200 thousand years ago (3200 BC) during the Neolithic period. 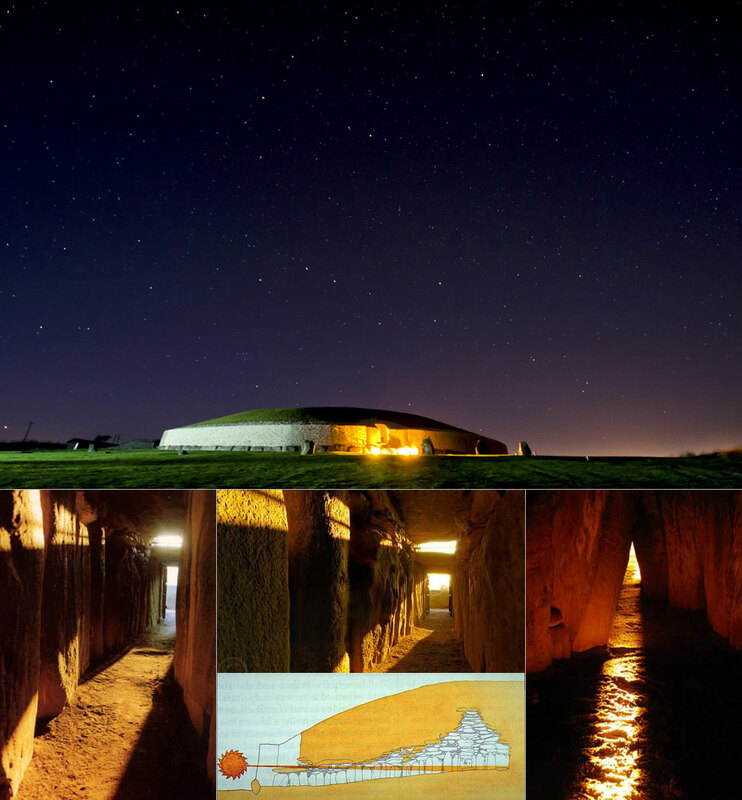 Newgrange is older than Stonehenge and the great pyramids of Giza, and was built by a civilisation who had advanced knowledge of astronomy and mathematics. The temple is just one monument within a large Neolithic complex called Brú na Bóinne, which is a UNESCO World Heritage Site. Once a year, at the winter solstice, the rising sun shines directly along the long passage into the chamber for about 17 minutes and illuminates the chamber floor. The sun enters the passage through a specially contrived opening directly above the main entrance to the temple. Today the first light enters about four minutes after sunrise, but calculations based on the precession of the Earth show that 5,000 years ago first light would have entered exactly at sunrise. Excavations have revealed deposits of both burnt and unburnt human bone in the passage, indicating human corpses were indeed placed within it, some of which had been cremated. From examining the unburnt bone, it was shown to come from at least two separate individuals, but much of their skeletons were missing, and what was left had been scattered about the passage. 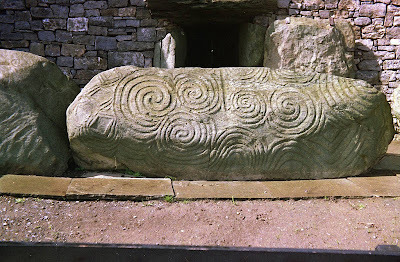 0 responses to "The Ancient Temple of Newgrange"